I’ve just come back from a client meeting where the topic of discussion was around their disaster recovery plan or lack of it? I always start these meetings with the question: ‘How would your business continue to trade if disaster strikes?’ The normal response isn’t a very positive one with lots of pauses and head scratching. If you are a business that still runs on a traditional telephone system what you will probably not appreciate until it’s too late, is the limitation with this set up. For example, how would your business cope if you had your 5 telephone lines all pointing at 1 mobile phone? How would customers get through and how would your staff make calls, etc? You get the picture. It’s important to have a plan and it’s even more important to have the technology that allows you to develop, not only on a day to day basis, but in the event of a disaster, quickly and seamlessly – with Hosted Telephony you get this. Our Hosted Solution even has the ability to apply these features automatically so before you even know there is a problem it’s activated implementing the predetermined disaster plan. A Hosted System is the only choice for any business that relies heavily on their telephony and a business that needs to be in control of where they work. It allows the freedom and flexibility businesses need to continue to communicate in any situation. It could also mean the difference between a company surviving a disaster or folding due to lost business. If you would like to discuss you’re Business Comms Disaster Recovery Options, or the flexibility a Hosted System can bring to you, please contact me on 0330 333 2 333 or by email on simon.gale@cactusbusiness.co.uk. The OnePlus 6T was released to the UK market on the 6th of November and it hasn’t disappointed. It is the second flagship phone they have released this year and although the OnePlus 6 was a great phone, the OnePlus 6T is consistently better in every aspect. OnePlus are renowned for offering top specifications for budget prices and this model proves that. If this were an Apple or Samsung device, you would have to spend at least double to match the cutting-edge technology included in this device. It is not uncommon for many companies to have little or no provisioning for their voice systems. There can be a lot of reasons why your office voice services may become unusable – from builders accidentally cutting through cables during roadworks, to an epidemic that results in high staff absenteeism, or even a natural disaster that damages your office. When staff are unable to answer the phones, business grinds to a halt. 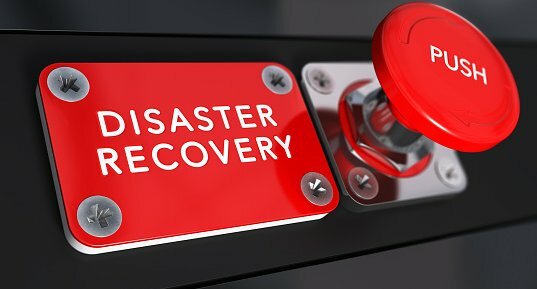 This is why having a Disaster Recovery Plan in place will keep your business running when you need it too and keep your customers happy.